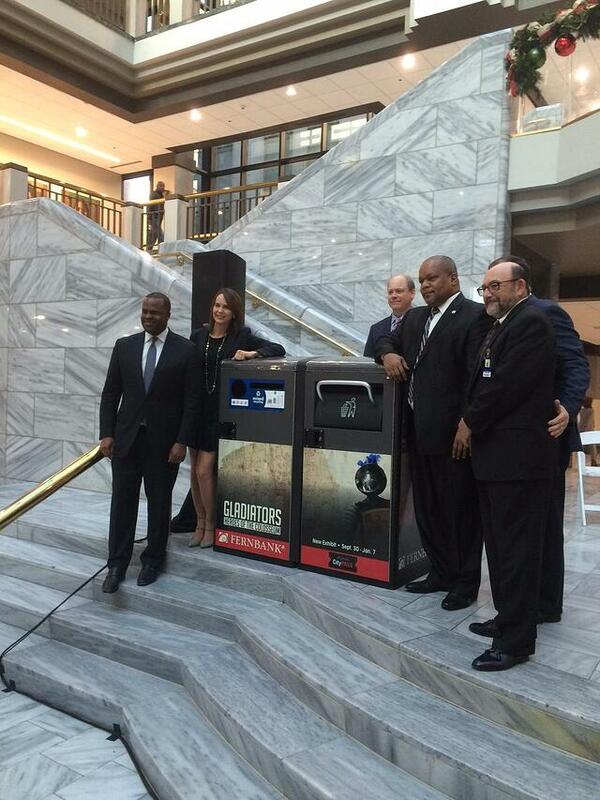 ATLANTA – Mayor Kasim Reed today announced the launch of the City of Atlanta’s new Bigbelly recycling program, which will transform a core city service by embracing smart technology for waste and recycling collections. The new program places smart, double-station waste and recycling bins in 160 locations in Downtown Atlanta, the Westside and Little Five Points neighborhood, which help keep communities clean, advance environmental goals and support smart city efforts. Atlanta will now join the ranks of other leading cities such as New York, Los Angeles, Dublin and London that use Bigbelly’s smart waste system. Bigbelly units are solar-powered and compact waste to hold five times as much waste as a traditional trash bin. Through smart sensors, the units communicate to a centralized dashboard to alert crews when stations are ready for waste and recycling collection. The program has been financed through an innovative public-private partnership. Green City Solutions, LLC Green City has subsidized the majority of the capital investment through the sale of advertising on the units. As part of the City’s agreement with Green City, artwork from local artists and public service messages will be displayed on the front sides of some Bigbelly units. Under the Reed Administration, the City of Atlanta has committed to reducing waste diversion rates and increasing recycling rates. Earlier this year, the city launched a “Feet on the Street” pilot to cut down on recycling contamination, increased enforcement of the city’s multi-family recycling ordinance, partnered with the American Kidney Foundation to divert used clothes and textile wastes from landfills and improved efficiencies in routing through a pilot with Rubicon Global. In addition, Hartsfield-Jackson Atlanta International Airport has implemented the national standardized recycling label in its terminals and has been an early adopter of the Bigbelly bins. The new standardized label is designed to make it easier for the public to know which materials can and cannot be recycled, promoting higher levels of recycling. “Atlanta continues to set the bar high for recycling and waste diversion,” says Stephanie Stuckey, Chief Resilience Officer for the City of Atlanta. By providing advertising space on the Bigbelly units, the City is able to promote major public events such as the Atlanta Jazz Festival to more than 1.6 million people per day. The advertisements also generate revenue for the City’s solid waste program. Founding advertisers include the Fernbank Museum of Natural History, Up-TV, Invest Atlanta, Peach State Health and Georgia Pacific. The City of Atlanta plans to expand the Bigbelly program to more neighborhoods over the next year.